Fillable 1096 Form 2016 is not the form you're looking for?Search for another form here. IRS Form 1096 is a compilation form, which provides totals for all information forms that you submitted to the IRS and recipients. Form 1096 must be submitted for every type of information return you provided a recipient. Who has to file a 1096? The answer depends on which one of the thirty information forms listed on 1096 you are submitting to the IRS and to recipients. Filers include: financial institutions, corporate or small business payroll, educational institutions, government units, insurance companies, brokers, mortgage lenders, real estate agent closing sales, multiple homeowners, subsequent loan holders, multiple lenders, small businesses, corporations, casino, lottery, racetracks or other gambling operations. 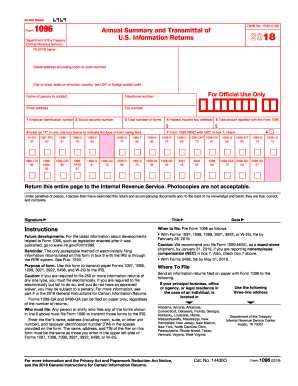 A Form 1096 must accompany all PAPER filed Forms, 1097, 1098, 1099, 3921, 3922, 5498, or W-2G. You must group the forms by form number. Attach a separate form 1096 to each group of forms. Is there a penalty if I don’t include a 1096 with my forms? Yes. If you file up to 250 returns on paper, those returns will not be subject to a penalty for failure to file electronically. If you file late, the penalty starts at $30 per informational return and depends on how late you submit Form 1096 and the form filings. When is the 1096 form due? Filing dates for Form 1096 vary. It is advisable that you check the deadline for the specific form that you are submitting. Most of the forms you plan on submitting by paper are due the last business day in February. February 28, 2017: Forms 1097, 1098, 1099, 3921, 3922, or W-2G on paper. 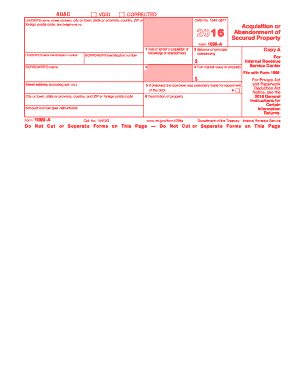 File Form 1096 with paper forms. May 31, 2017: Form 1096 with Forms 5498, 5498-ESA, and 5498-SA. You can file by the next business day if the regular due date falls on a Saturday, Sunday, or legal holiday. Remember to follow deadlines for each informational form for submitting these forms to recipients. How do I fill out a 1096 form? Supply your company’s name and address, as well as a name of a person to contact and all of their contact information. Include either an EIN or Social Security Number. Include the total number of forms that you are sending to the IRS and add that to Box 3. 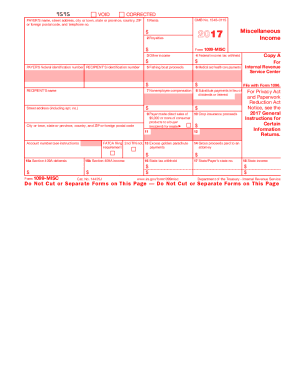 In Box 4, enter the total amount of Federal income tax withheld on all the forms you are submitting. In Box 5, enter the total amount of reported payments on all forms you are submitting. In Box 6, enter an “x” in the box for the type of form you are submitting. You can use PDFfiller to eSign and date your Form 1096. Form 1096 2015. Annual Summary and Transmittal of U.S. Information Returns ( Info Copy Only). File Form 1096. Prepare Form 1096 now with H&R Block.